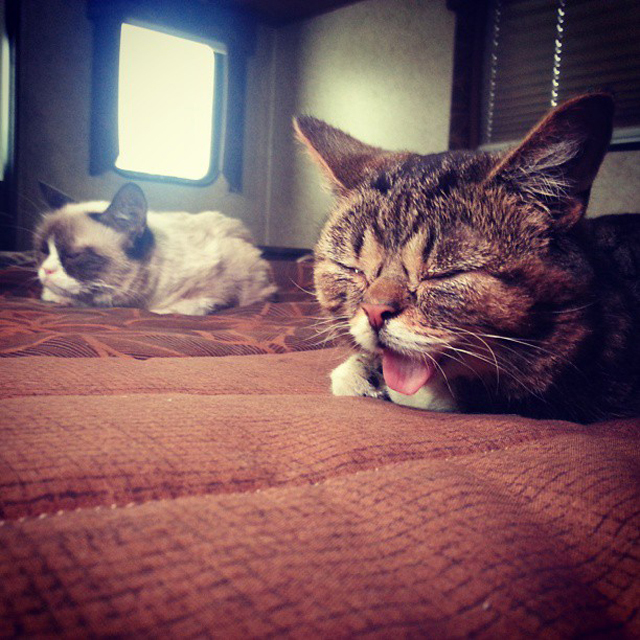 At the 2013 Internet Cat Video Festival in Minneapolis, the two internet famous felines Lil Bub and Grumpy Cat were able to meet one another for the very first time and swap stories through telepathy. There were a few Vine videos and images posted on the twitter pages of Lil Bub and Grumpy Cat to mark this special occasion. After the friendly meeting, Grumpy Cat went on to win the festival’s Golden Kitty award.